High risk, high reward. That’s the kind of discovery Garry “Smitty” Grubbs is looking for. And this one could significantly reduce drug costs. Grubbs is working on a new way to rapidly identify the atomic structure of chiral molecules that make up 90 percent of today’s drugs. He says it will reduce the time and expenses involved in pharmaceutical development and manufacturing. Chiral molecules have identical atomic connectivity, but their atoms are arranged in mirror-image configurations that can’t be superimposed on each other. Often described as “handedness,” the atomic structures of chiral molecules contain similar physical properties (as do the mirror images of the right and left hand), but their chemical properties usually differ. Grubbs, an assistant professor of chemistry at S&T, received nearly $60,000 from the National Science Foundation through an early-concept “EAGER” grant for the project. EAGER projects explore untested but potentially transformative research ideas considered “high risk-high payoff” because they involve radically different approaches or new scientific problems. 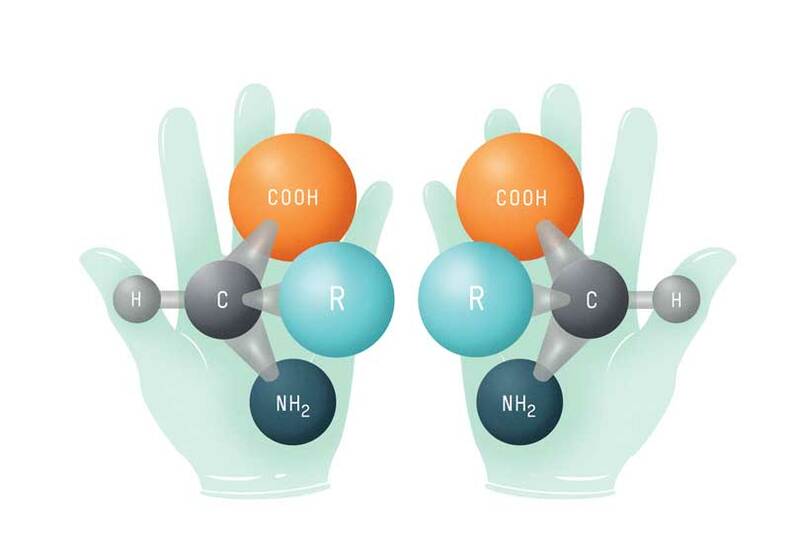 Grubbs says the pharmaceutical industry spends billions of dollars a year to identify chirality, and several time-consuming methods are required to avoid synthesizing the wrong molecular structure. The wrong molecular structure can cause dangerous physiological effects. Current techniques include traditional and vibrational circular dichroism, optical rotation, nuclear magnetic resonance and X-ray crystallography. Then they must separate the desired chiral structure from the undesired one using gas or liquid chromatography. Grubbs says the combination of these techniques can take many hours. Using a standardized analysis instead could take less than a minute. To speed up the process, Grubbs uses an existing, advanced microwave spectroscopy technique that can distinguish molecules in three-dimensional space on molecular effects generated by singular atomic nuclei. Based on these interactions, he hopes to tease out and gather the information to identify chiral molecules. Because these observations can occur in less than a minute, and at the same time quantify the reaction without having to separate the reaction mixture, Grubbs believes it will drastically speed up chiral discernment, which could ultimately cut costs for the pharmaceutical industry.